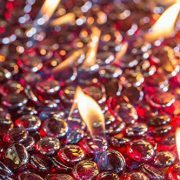 “Reflective” fireglass is only fireglass with one side metallic/mirror-coated to achieve the desired sparkle and shimmer effect. 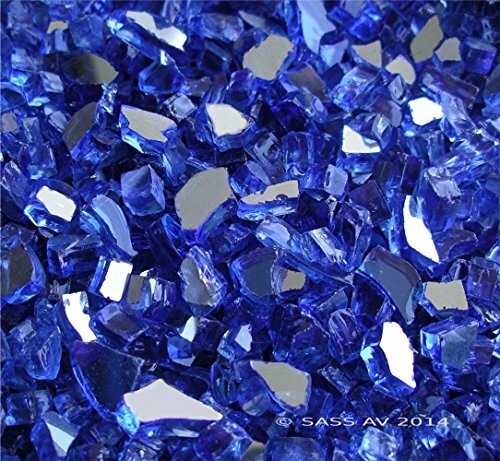 ~1/4″ Cobalt Reflective Fireglass is used in gas fireplaces and fire pits as an alternative to gas logs. 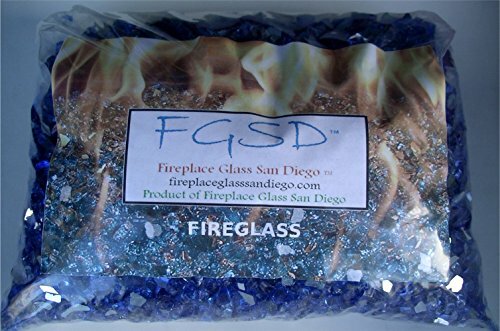 This product, made and sold by Fireplace Glass San Diego, is made of tempered glass to withstand the heat of a fireplace or fire pit flame, if properly installed. ~1/4″ means that the average size is ~1/4″. Some pieces can be quite smaller and some can be quite larger, this is typical for all kinds of fireglass. 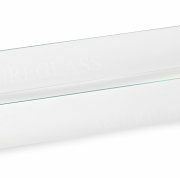 IMPORTANT: Any fireglass on the market can be used only in devices designed by the manufacturer for use with fireglass. (And if it can be used, you need to respect the recommended size and amount of fireglass). Propane burners do not burn as clean as natural gas and can cause discoloration and sooting, so it is recommended to use dark colors with LP propane. 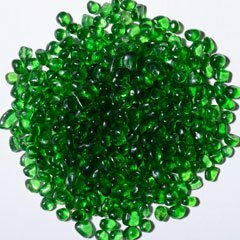 The shade/hue of the glass can change dramatically in different sources of light as well as in different colors of surrounding areas, backgrounds, etc. The image of this glass may be distorted by the settings of your viewing screen. Specifically Crafted to Surround, Control and Protect American Fireglass Rectangular and Square Drop In Pans and Linear Channel Burners. USE INDOOR & OUTDOOR: Perfect for campfires, bonfires, indoor fireplaces, backyard firepits and any woodburning fires! 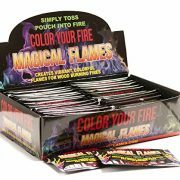 EASY TO USE: Simply toss 1-3 unopened pouches into fire to enjoy a brilliant display of color! Blue Ridge Brand offers professional grade fire pit glass, for both residential and commercial use, at an affordable price. All Blue Ridge Brand Fire Pit Glass is available in 3 oz sample packs so that you can be confident in your purchase. 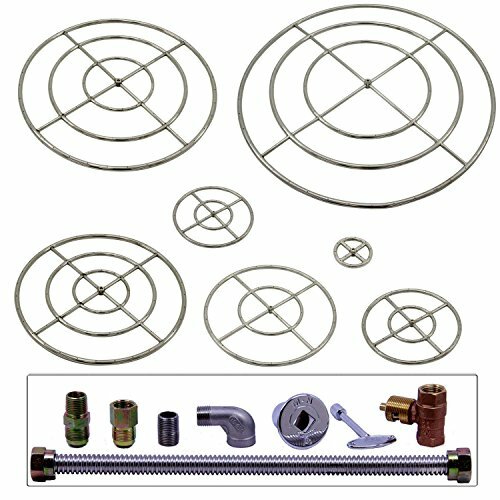 We love our product and know that you will too. 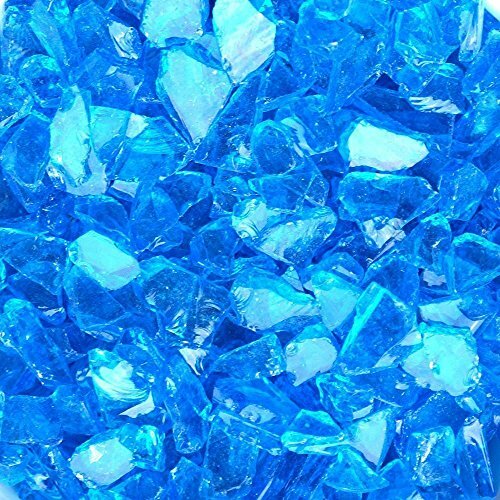 Blue Ridge Brand Reflective Fire Pit Glass is tumbled to remove sharp edges, making it perfect for fire pits, vase fillers, and garden landscapes.